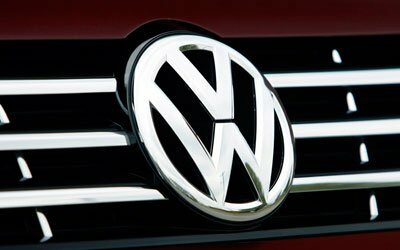 Volkswagen has announced a recall of about 2.6 million cars worldwide, including 640,000 in China, a crucial growth market. The recall affects a range of models that may have problems with lights, leaking fuel lines and the wrong type of engine oil. It includes 800,000 of its Tiguan SUV model, one of VW’s best-selling models globally this year. The recall is one of the biggest in VW’s history. Some 640,000 cars are being recalled in China, where VW produces cars for the local market, as well as selling imports. China is now the biggest car market in the world, an important source of demand for global carmakers looking for growth to offset declines in European car sales. VW says it wants to double its manufacturing capacity in China to four million cars a year by 2018, helping it to become the biggest car company in the world by sales. The recall is a setback for those ambitions, although the faults appear to be relatively minor. There are concerns that the affected Tiguan cars have faulty fuses in their lighting circuits. A further 239,000 Amarok pick-up trucks may have leaking engine fuel lines. Another 1.6 million cars and vans may have problems caused by the use of a synthetic oil in their gear boxes. These include 640,000 vehicles produced in, or imported to, China between 2009 and 2013. VW has already recalled more than 380,00 vehicles in China this year because of gearbox problems. However, the size of the recall is dwarfed by Toyota’s recall of 10 million cars in 2009 and 2010, amid fears over sticky accelerator pedals and floor mats.